SAP Program – What is SAP Software and How to Use It? Home » SAP Program – What is SAP Software and How to Use It? Author Written by Cleo Isco and last updated on Posted on March 15, 2016 . Posted in Categories All Things SAP. If you have come to this page, you probably looked for information about SAP program. Actually, SAP program can mean a lot of things, so let us discuss what people could mean when referring to SAP program. In the most general case, it is possible that they refer to one or several components of the suit of SAP business applications. Our article What is SAP? can be a good starting point for information about SAP. All SAP business applications are essentially software products. For this reason, one can use the term ‘SAP program’ for any of them. SAP applications are characterized by high complexity. They are capable of performing a lot of different functions for supporting operations of companies. SAP consists of a large number of programs and sub-programs. 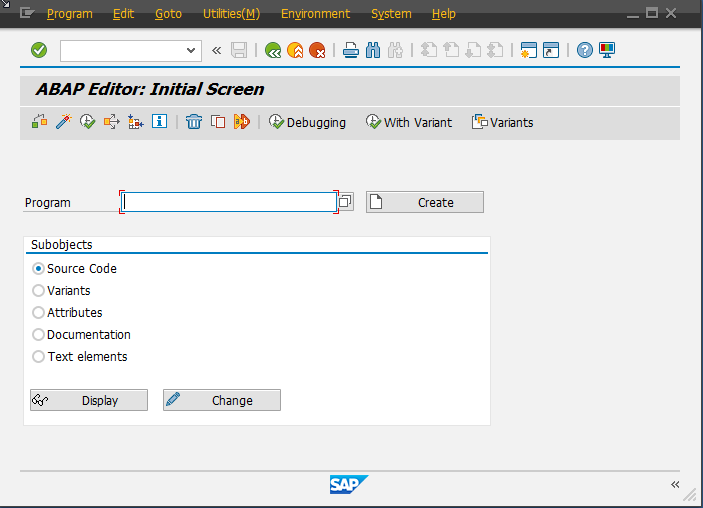 SAP program is a sequence of instructions written in the special programming language called ABAP that control behavior of a computer for recording business transactions and performing various analytics functions. When SAP program is being executed, it delivers certain business function to users of an SAP system. For example, SAP has a program for creating and saving sales orders. Business users of the SAP system will capture and save in the database new orders from their clients with the help of this SAP program. SAP software is expensive and is only purchased by corporate customers (companies) because it is not of any value for private individuals. As we already wrote, the main function of SAP software is to automate business processes of a given enterprise. Therefore, it makes a lot of sense that nobody wants to install it on their personal computers. Moreover, not every company needs SAP program. For many small and medium size companies the functionality offered by SAP is excessive and too sophisticated for their needs. There are many alternatives of SAP that are cheaper and simpler. These alternatives can be a good fit for small companies that do not have a large budget for IT systems. The true power of SAP software shines when this system is used for managing operations of global multinational companies (e.g., Coca-Cola or Apple). SAP is used in almost every global company because it offers exceptional scalability capabilities and can handle business operations across different continents. How to Work with SAP Program? Usually companies hire SAP consultants for implementing SAP program and training their employees how to work with SAP. Our article How Does SAP Work? provides an easy explanation of the basic principles behind SAP and its architecture. It is a good idea to read this article for general understanding of how SAP software operates. From this article you will learn that SAP has several tiers architecture and all the work with SAP is done through the graphical user interface (GUI). GUI presents various screens to the users where they either can enter data or read some information extracted from the database. It is not very difficult to work with SAP program as a user but some training is definitely required because many things are counterintuitive in SAP and could be confusing. Being an SAP consultant (the person who customizes SAP software and supports it) is more demanding for SAP skills and requires extensive SAP training and hands-on experience. Many people have never worked with SAP software and would like to try it and see how it looks like. Since SAP software is only sold to corporate customers, it is not really possible to try it unless one works in a company that uses SAP program. On the other hand, it can be really beneficial to have access to a demo SAP system for training purposes or for practice before a job interview. Luckily, there are companies that offer remote access (via Internet) to demo SAP systems. Usually, they charge monthly fee for access to their system but there is one company called Ivobe that offers free trial of access to SAP system that lasts 72 hours. i want fully info about sap… , what is a feees structure and what is a starting payment ? 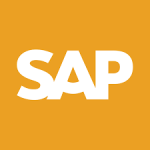 i want fully info about sap… , what is a fees structure and what is a starting payment ? Hi.I am Rakesh . I am a SAP FI Professional with 8 years experience under SAP FI Domain. Interested in taking up an assignment in Implementation. I do not have any End to End exposure but I have working knowledge of the same. I need Advice. good man. but you have still some experience because these are updated and and create some changes. but i think you have gotten the knowledge more about the software. which language is easy to learn SAP or JAVA????? Previous Previous post: How Does SAP Work? Next Next post: What is SAP Experience?